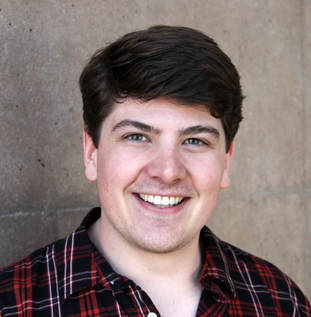 Kaj is a Ph.D. student in Software Engineering at the University of California Irvine, currently focused on software comprehension, debugging, and dynamic analysis. Before joining UC Irvine, he received his B.Sc. in Electrical Engineering and M.Sc. in Embedded Systems from the Delft University of Technology in the Netherlands. 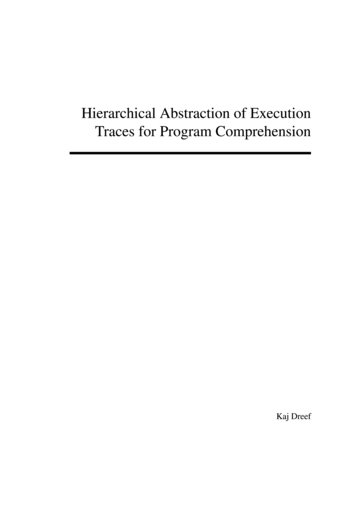 Hierarchical Abstraction of Execution Traces for Program Comprehension. Yang Feng, Kaj Dreef, James A. Jones, Arie van Deursen. Proceedings of the IEEE/ACM International Conference on Program Comprehension (ICPC), Gothenburg, Sweden, May 2018, pp. 86–96. Understanding the dynamic behavior of a software system is one of the most important and time-consuming tasks for today’s software maintainers. In practice, understanding the inner workings of software requires studying the source code and documentation and inserting logging code in order to map high-level descriptions of the program behavior with low-level implementation, i.e., the source code. Unfortunately, for large codebases and large log files, such cognitive mapping can be quite challenging. 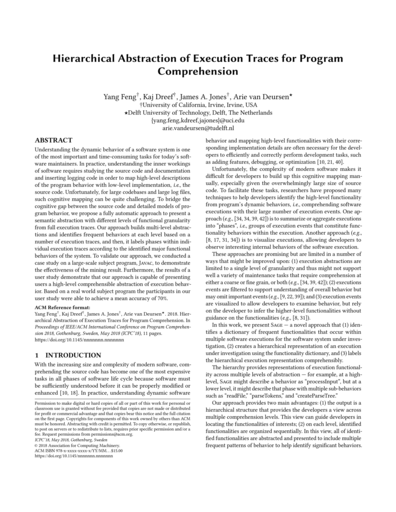 To bridge the cognitive gap between the source code and detailed models of program behavior, we propose a fully automatic approach to present a semantic abstraction with different levels of functional granularity from full execution traces. Our approach builds multi-level abstractions and identifies frequent behaviors at each level based on a number of execution traces, and then, it labels phases within individual execution traces according to the identified major functional behaviors of the system. To validate our approach, we conducted a case study on a large-scale subject program, Javac, to demonstrate the effectiveness of the mining result. Furthermore, the results of a user study demonstrate that our approach is capable of presenting users a high-level comprehensible abstraction of execution behavior. Based on a real world subject program the participants in our user study were able to achieve a mean accuracy of 70%. Kaj Dreef. Dissertation. Delft University of Technology, Delft, the Netherlands, 2017, pp. 1–59. Understanding the dynamic behavior of a software system is one of the most im- portant and time-consuming tasks for today’s software maintainers. In practice, un- derstanding the inner workings of software requires studying the source code and doc- umentation and inserting logging code to map high-level descriptions of the program behavior with low-level implementation, i.e., the source code. Unfortunately, for large codebases and large log files, such cognitive mapping can be quite challenging. To bridge the cognitive gap between the source code and detailed models of program be- havior, prior software-execution mining research primarily focused on reducing the size of the low-level instruction execution traces. In contrast, in this thesis we propose a generic approach to present a semantic abstraction with different levels of functional granularity from full execution traces. Our approach mines multiple execution traces to identify frequent behaviors at multiple levels of abstraction, and then analyzes and labels individual execution traces according to the identified major functional behav- iors of the system. To validate our technique, we conducted a case study on a large- scale subject program, JAVAC, to demonstrate the effectiveness of the mining result. Furthermore, the results of a user study demonstrate that our technique is capable of presenting users with a high-level comprehensible abstraction of execution behavior.